KNX Gateways and interface are used to connect any product or system with a KNX building automation system. 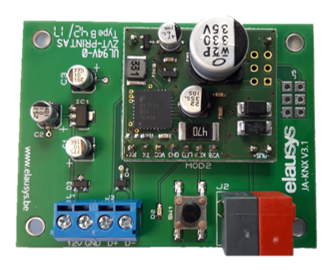 Elausys provides its own range of devices but is also able to design OEM interfaces to be integrated in your products. A bidirectional KNX interface for the popular Jablotron 100 alarm system. 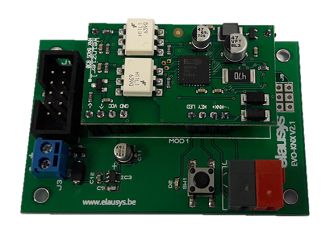 A bidirectional KNX interface for the popular Paradox EVO alarm system. A bidirectional KNX interface for the popular GE Interlogix NetworX alarm system.